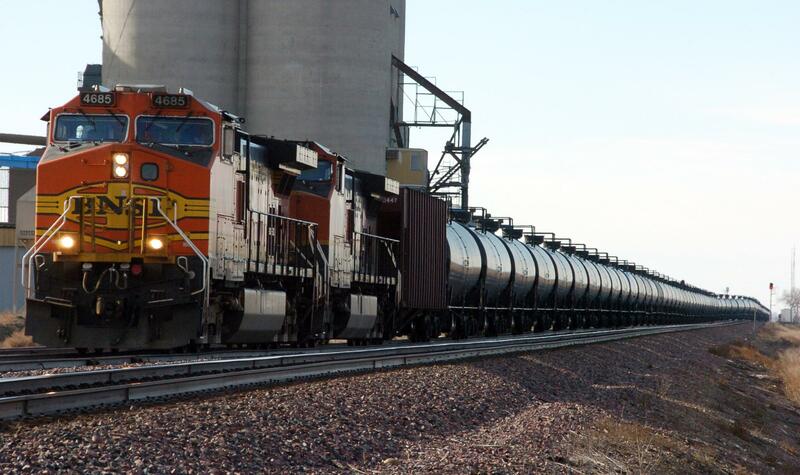 HELENA – The U.S. Supreme Court has overturned a Montana court’s ruling that two BNSF Railway workers could sue the company for their injuries in the state, even though the men never worked in Montana and they weren’t hurt here. The nation’s high court ruled 8-1 on May 30 that state courts don’t have jurisdiction over a railroad company headquartered elsewhere just because it has tracks running through those states. Justice Ruth Bader Ginsburg wrote in the opinion that deciding the workers’ cases in Montana would be a violation of the Texas-based BSNF’s due process rights under the 14th Amendment. The ruling largely reaffirms earlier Supreme Court decisions that prevent a state court from having the general authority to decide cases against a corporation unless the court is in the corporation’s principal place of business, with limited exceptions. The Montana Supreme Court ruled a year ago that railroad workers have special protections that allow them to file injury lawsuits wherever their employers do business. The Federal Employers’ Liability Act was written specifically to allow injured railway workers to file such out-of-state lawsuits, as long as the rail company operates in the state where the claims are filed, the state court ruled. BNSF has about 2,000 miles of track and 2,000 workers in Montana, which represents 10 percent of the company’s operations. Robert Nelson and the family of Brent Tyrell sued BNSF separately in Montana in 2014. Nelson was injured in Washington state in 2008. Tyrrell’s lawsuit alleged his exposure to carcinogenic chemicals while working in South Dakota, Minnesota and Iowa that caused him to develop cancer and die. Julie Murray, an attorney for the Public Citizen Litigation Group that represented Nelson and Tyrell, said in a statement that her clients will continue to press their claims when the case is sent back to the Montana Supreme Court. But, she added, the U.S. Supreme Court decision is a loss for injured railroad workers who may have to travel far from home for a judge to hear their claims. “Workers already suffering from disabling injuries caused by their employers shouldn’t have to bear that burden,” Murray said. Her comments echoed Justice Sonia Sotomayor’s dissenting opinion. She wrote that the majority opinion grants a windfall to large multistate and multinational corporations and that individual plaintiffs will be forced to sue in distant jurisdictions where they have no contacts or connections. The U.S. Chamber of Commerce, one of four organizations to file “friend-of-the-court” briefs as interested parties in the case, said the Montana court’s decision resurrected unfairness and uncertainty over the question of court jurisdiction that the nation’s high court sought to eliminate with previous rulings. Published: June 5, 2017, 3:34 p.m. Updated: June 5, 2017, 3:52 p.m.